We make appointments for new consignments Monday through Friday 10am – 4pm, or on Saturdays from 10am – 11:30 am. Before calling to make an appointment, please review your items thoroughly according to our website guidelines below and our labels list. Please note that we only accept new consignment items from our current labels list. A minimum of five (5) qualified items is required to open a new account. 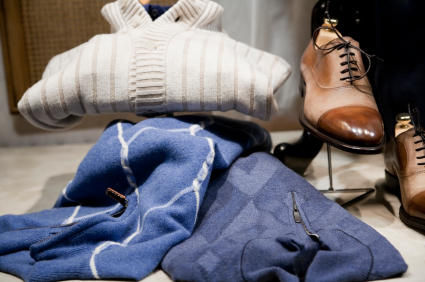 Accounts for menswear and womenswear are separate, and a minimum of five qualified items is required for each account. Accounts may not be opened under the name of another person. Items need to be current (usually 3 years or less), freshly cleaned, unwrinkled, in excellent condition, and on non-returnable hangers. Items should be free of pet hair, fragrance, smoke, mothballs and/or any other odors. Items consigned with these defects are more likely to be donated without notice. Due to space limitations & safety concerns, we are unable to accept any clothing in bags or boxes. Items left for consignment and subsequently found to have flaws (i.e. stains, holes, wrinkles, tears, faulty zippers, missing buttons, etc.) will be donated without notice. We accept all seasons of clothing any time of the year. We will price, store, and merchandise your items for the appropriate season, at our discretion. Please note… once stored, we cannot retrieve your consigned items until they are ready to be moved to the selling floor. Please be aware that we post-date all incoming consignments due to the high-volume of consigned items. You will receive 40% of the selling price. You may phone or drop by anytime during business hours to inquire about your account balance. Checks are written at your request, ID required. The consignment period lasts 60 days. At the end of that time, if there are items you would like to retrieve, please phone 2-3 days in advance so we may gather it for you. Any unusable or unsold items are donated to local charities. At any time you may request a tax donation slip. Continue scrolling for the labels we accept in menswear and womenswear. Here you will find a list of labels we accept from first-time consignors. We donate or reject any items that are old or dated, those of a style not currently in demand, as well as those with obvious flaws (for example: stains, rips, wrinkles, moth holes, smoke or moth ball odors, perfume, underarm/crotch stains, broken zippers, missing buttons, scuffed or damaged shoes, any non-working watches, among other reasons). We offer tax donation slips for any items that we donate for you. Due to space limitations and selling price points, we reserve the right to select which merchandise we wish to sell. We donate or reject any items that are old or dated, those of a style not currently in demand, as well as those with obvious flaws (for example: spots, holes, tears, perspiration stains, discoloration inside or outside of garment, stains around the collar, missing or broken buttons, frayed hems on jeans, wrinkles, moth holes, poorly done alterations, odor of any kind, among other reasons). We offer tax donation slips for any items that we donate for you. After you have thoroughly read through our general requirements and have sorted your items according to the gender-specific checklist and the list of labels we accept, feel free to contact us to make an appointment. We look forward to working with you! Echo Shop started out as the brainchild of working mother-of-four Joanne Wilkinson. With $200 and a cigar box in place of a cash register, the store opened its doors in 1968. Echo quickly became the source for well-heeled Tulsans to turn a profit on last season’s closet and for high fashion lovers to find a sartorial steal. 1990 saw the opening of Echo Man to let men in on Tulsa’s most dapper deal. 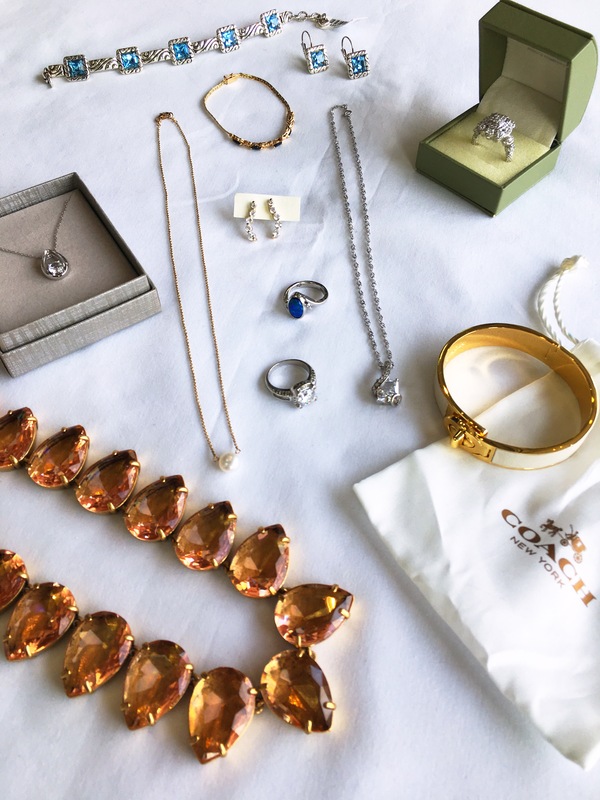 Fifty years and two generations later, we’ve served over 45,000 consignors, whose high quality style allows us to offer the cream of the crop to countless happy shoppers. (In fact, several of our regulars have been shopping with us for a few decades!) Whether your problem is too many clothes in your closet or your problem is million dollar taste and a $50 budget, we’re here to help. Welcome to the Echo family!